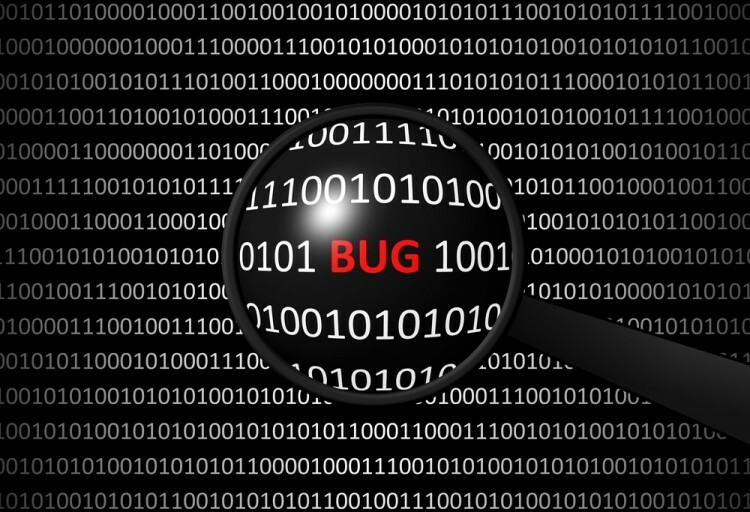 Hedge Funds Pile Into Blackbaud, Inc. (BLKB): What Have They Uncovered? Is Blackbaud, Inc. (NASDAQ:BLKB) a healthy stock for your portfolio? The smart money is in a bullish mood. The number of long hedge fund positions improved by 4 lately. BLKB was in 14 hedge funds’ portfolios at the end of the third quarter of 2016. There were 10 hedge funds in our database with BLKB holdings at the end of the second quarter. The level and the change in hedge fund popularity aren’t the only variables you need to analyze to decipher hedge funds’ perspectives. A stock may witness a boost in popularity but it may still be less popular than similarly priced stocks. That’s why at the end of this article we will examine companies such as Eldorado Gold Corp (USA) (NYSE:EGO), Rayonier Inc. (NYSE:RYN), and Urban Outfitters, Inc. (NASDAQ:URBN) to gather more data points. What does the smart money think about Blackbaud, Inc. (NASDAQ:BLKB)? At the end of the third quarter, a total of 14 of the hedge funds tracked by Insider Monkey were bullish on this stock, a 40% jump from the previous quarter. 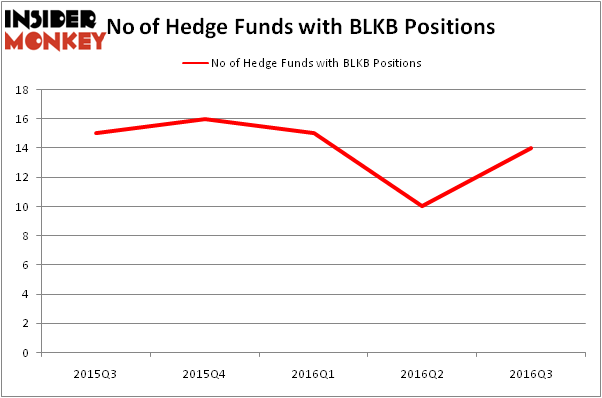 The graph below displays the number of hedge funds with bullish position in BLKB over the last 5 quarters, which shows that ownership is still down slightly this year, despite the Q3 surge. With hedgies’ capital changing hands, there exists a select group of notable hedge fund managers who were increasing their stakes substantially (or already accumulated large positions). According to Insider Monkey’s hedge fund database, Select Equity Group, led by Robert Joseph Caruso, holds the number one position in Blackbaud, Inc. (NASDAQ:BLKB). Select Equity Group has a $50.6 million position in the stock. Coming in second is RGM Capital, led by Robert G. Moses, which holds a $39.6 million position; the fund has 4.5% of its 13F portfolio invested in the stock. Remaining members of the smart money that are bullish encompass Chuck Royce’s Royce & Associates, John Kim’s Night Owl Capital Management, and Jim Simons’ Renaissance Technologies. We should note that RGM Capital is among our list of the 100 best performing hedge funds which is based on the performance of their 13F long positions in non-microcap stocks.